The Soap & Glory Hand Food Hand Cream is unlike any other. At this time of year, the bitter weather can attack your hands, leaving them extremely dry, cracked and sore. In order to keep this from happening and resolving it, if it does, this product is the first thing that I turn to. Without leaving any greasy residue, which is pretty rare for hand creams nowadays, the rich formula deeply penetrates the skin. As it sinks in so quickly, I just want to add more and more. Immediately, the delicate skin on the hands feels soothed and nourished and the results last. I have numerous, travel sized tubes of Hand Food in various places, including my handbag, bedside table, bathroom and car. On the go, it is perfect to keep moisture locked into the skin, keeping them protected even when they are already healthy and happy. Whenever my hands are in desperate need of some repair, I liberally apply this in the evening, before bed and put on some thin gloves. Next morning, the thick cream has restored them to their former glory. If skin is particularly badly broken, the cream can sting slightly when applied, but this soon settles and is never too painful. As with all Soap & Glory products, this is quite strongly perfumed with that recognisable fragrance, which I think is just delicious. I love the majority of products that Soap & Glory offer, but this is by far my favourite. It is so cheap, at £2.50 for 50ml or £5 for 125ml, especially as Soap & Glory items are usually on offer in Boots. Personally, I prefer to purchase the smaller tubes as they are so handy and aren't don't weigh my bag down but I do have a larger tube on my bedside table for evenings. The packaging is cute and feminine, but isn't too over the top. Even if I had a never ending abundance of money to spend, I'd always choose this product. I have no complaints, whatsoever! 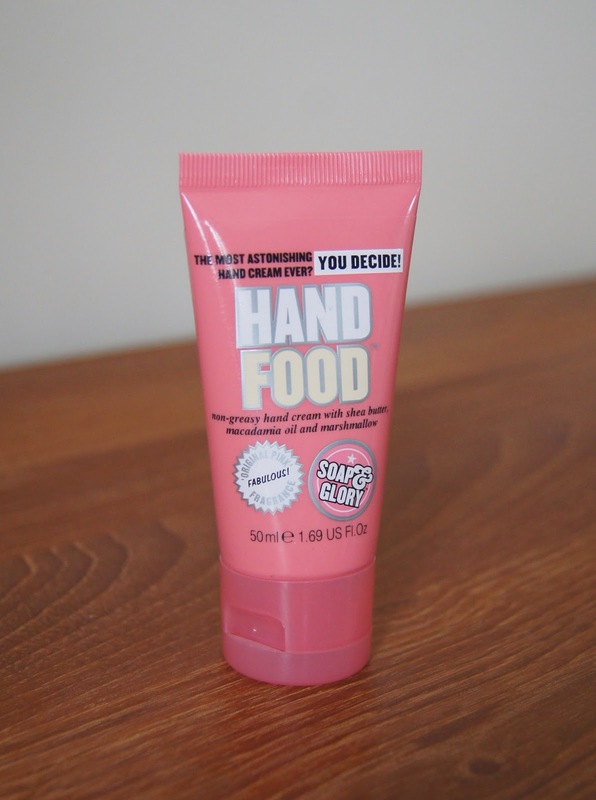 Have you tried Soap & Glory Hand Food?